1645 and 5620: yet another missing link! 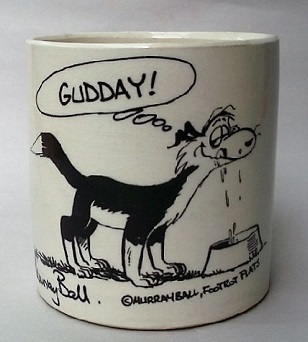 Another observation is that as much as the Aquamarine glaze may be likened to the Luke Adams Lucow the glaze on the new shape is very like Adams' Basalt. Finishing on this pot is more like the other 1645 than the 5620s. Re: 1645 and 5620: yet another missing link! Very interesting Jeremy. I will need some quality time to soak up your post. 2. The mark is raised rather than impressed and in a more typical Titian font (as seen on numerous mugs), but unlike my other 1645s it has a single dot after the number and none before. The others are both impressed large numbers with dots before and after. I initially thought there may be some significance in the missing dot, and there very well may be but I know not what! 3. 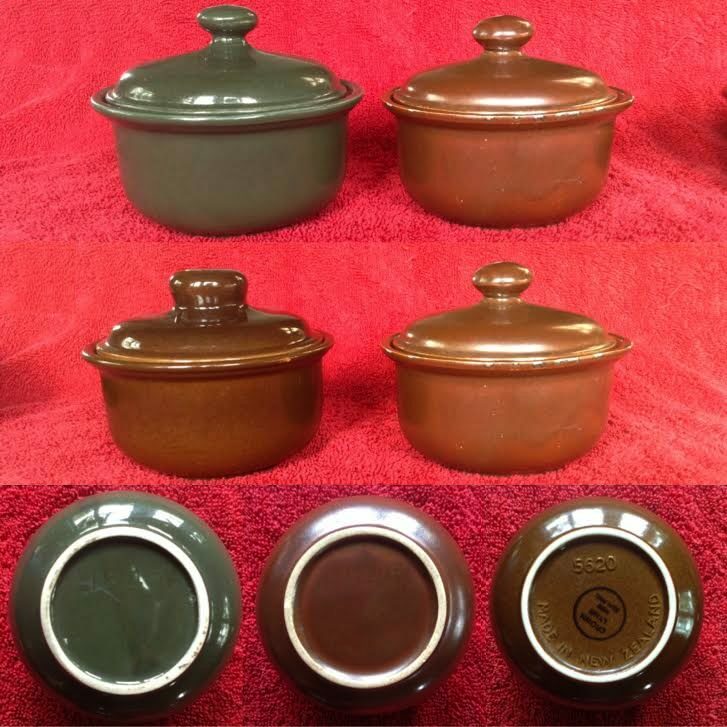 While the green pot above is bigger than the 5620s (at 123mm OD top), and the brown pot is smaller (115mm), this one is an exact match in shape and size for the Cook & Serve 5620s (118mm). 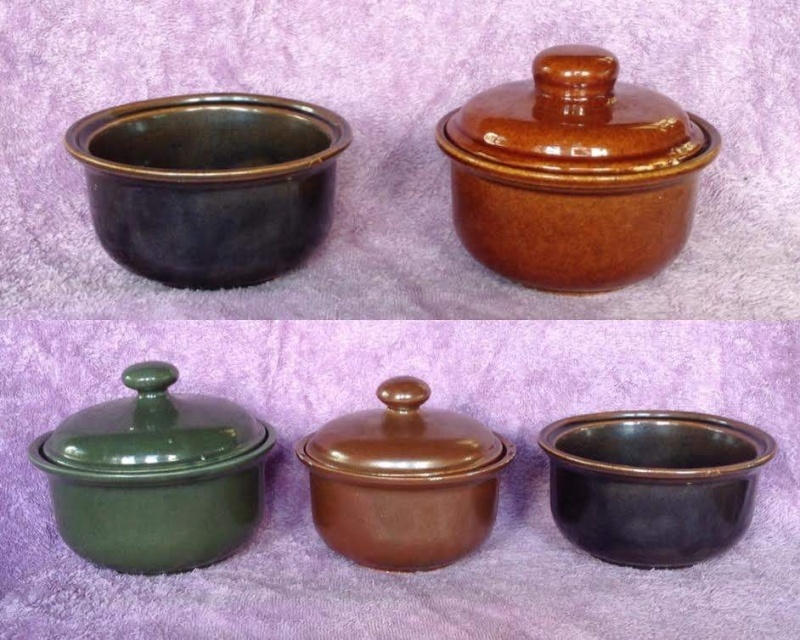 I have assumed the Jonno and Rufus pots are the same size because they look the same. If (big IF) Rufus's pot is actually the same size as the later 5620s then we can have a sequence starting with big and/or small 1645s, standard (5620) size 1645, Rufus's 5620 and finally the Cook & Serve 5620s. I'm not convinced but. I don't know when Rufus was at CL but if it spanned the setting up of the jigger machinery for the 5000s then maybe his example was just one of a number of trials before they settled on the final 5620 shape. A reminder, all the 1645s will be vitrified castware. The 1645s in this topic (and those in the green glaze belonging to others) are the only ones to turn up on the forum and are all in the Titian equivalent of the Luke Adams glazes Lucow and Basalt. At this stage I see it as no coincidence. My next point to check is references to the Chateau Range and sale thereof at 246 in Auckland's Queen Street.